Earlier in the week an obituary for a William M. Evarts Jr. caught my eye. 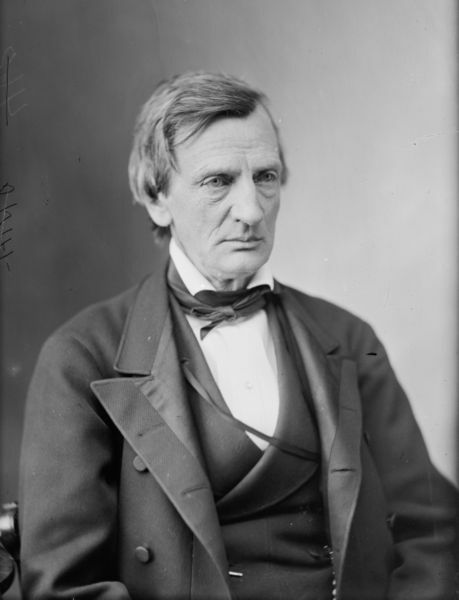 For those who may not know–and it is entirely understandable why one would not–the “original” William M. Evarts was an attorney and political figure from the nineteenth century. Among other things, he was part of Andrew Johnson’s defense team during the president’s impeachment trial. Evarts also represented the United States in its lawsuit against Great Britain when the U.S. was seeking damages over the Alabama incident during the Civil War. Theodore Roosevelt’s uncle, James Bulloch, had been one of the Confederate agents conspiring with the British. Later, Evarts represented Rutherford B. Hayes during the electoral dispute that followed the 1876 presidential race. 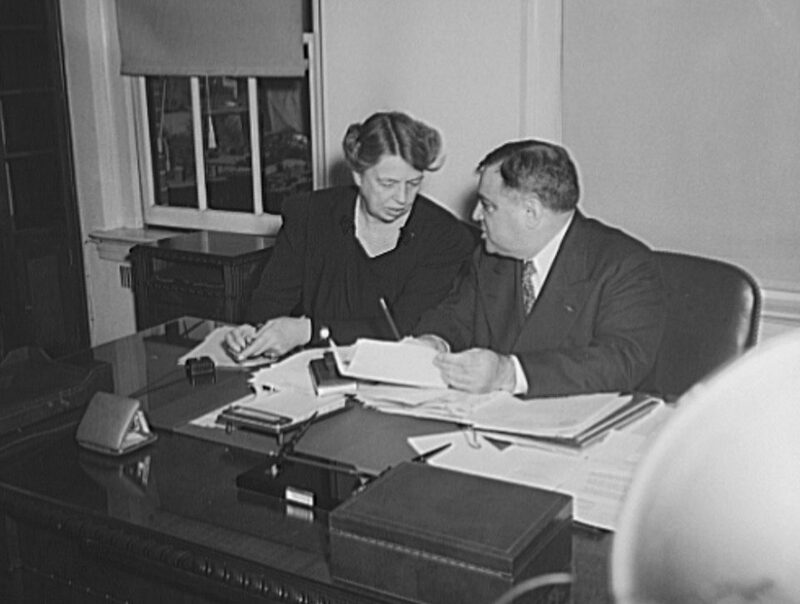 Hayes would later appoint him Secretary of State. So, you could imagine my surprise when I was that a William M. Evarts Jr. died this week. A cursory search revealed that this was not the statesman’s son. Evarts died in 1901; Evarts Jr. was born in the 1920s. My curiosity piqued, I went to Ancestry to see what I might find. I do not know how the “Junior” thing works. Maybe you are not a junior if you share your father’s first, but not middle, name? It turns out the man who passed on this week was the great-grandson of the statesman mentioned above. There was the original William Evarts, whose son was Prescott. Next, in the 1880s, came the second William Evarts, who evevtually begat William Maxwell Evarts, Junior. It seems Evarts led a full and productive life of fun and service. 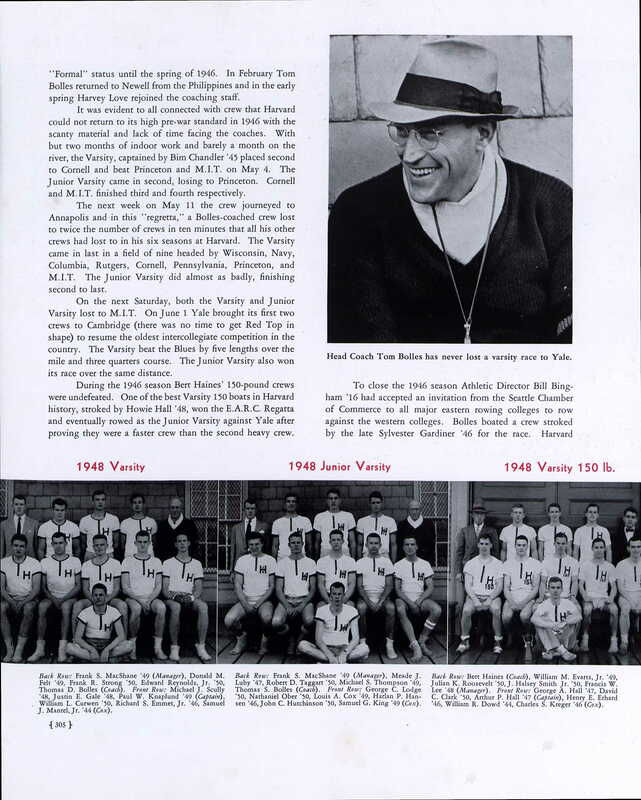 Here he is in the Harvard yearbook, standing next to a Julian K. Roosevelt no less. 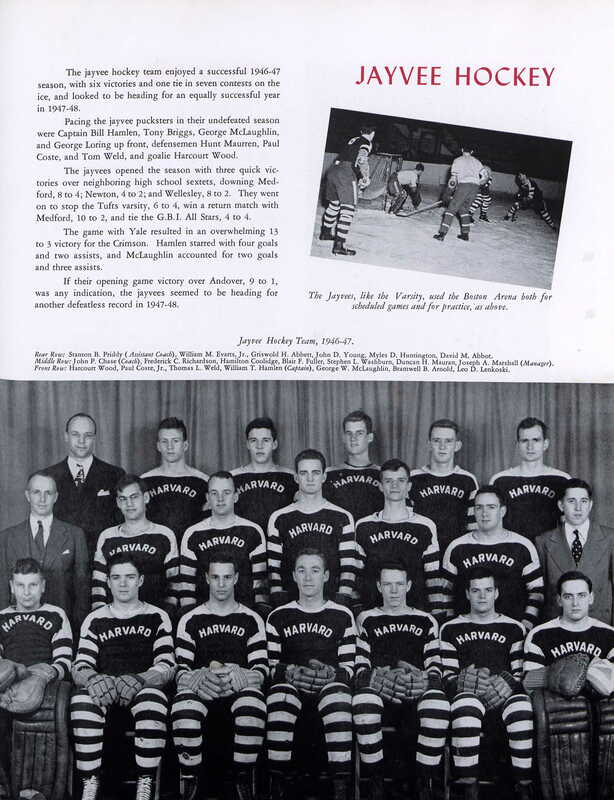 Evarts played hockey as well. Evarts Jr. was married to his wife for sixty-five years. Aunt Carol, thanks. It means a lot to me that you both enjoy it. I’m still coming down from the Sox World Series victory too, btw.